I think the tourism folks in Texas use the slogan, “it’s not just country music, it’s music country”. And, they are right. There is so much really good country music coming out of Texas these days, and Jon Wolfe is just one more example of that. For anyone who loves country music, and has not had the pleasure of listening to Jon Wolfe, the best place to start is to point you to his web site (www.jonwolfecountry.com). The bio on that site will tell you all you need to know about Jon, and there is even a music section where you can listen to some of his songs. The best introduction to Jon Wolfe is the basic yet not so simple fact that he’s a Country singer and songwriter who’s Country to the core. With an array of influences including George Strait, Clint Black, Alan Jackson, Garth Brooks and Merle Haggard, the Oklahoma native turned Texan has been burning up the Texas Charts where he garnered six consecutive Top Ten singles (“Let A Country Boy Love You,” “That Girl In Texas,” “I Don’t Dance,” “It All Happened In A Honky Tonk,” “The Only Time You Call” and “What Are You Doin’ Right Now”). Wolfe has opened for some of the platform’s biggest stars and has played more than 400 shows in the past four years. A storyteller at heart, Wolfe’s traditional Country sound has led him from his small hometown of Miami, Oklahoma to the dancehalls and honky-tonks of Texas, and now to Music Row. I am excited to tell you about Jon’s new album, called Natural Man. The album can be pre-ordered on his web site now, with an official release date of March 31, 2015. It gives us 13 great country songs! The album was produced by Jon, Lex Lipsitz and Billy Decker, and the music is a well-laid out combination of today’s country and real traditional country. The 13 songs you will get on the album are, If You’re Lonely Too, That’s What I’m Talkin’ About, Smile on Mine, It Just Feels Right, Outrun Her Memory, Don’t It Feel Good, She Beats All I’ve Ever Seen, Singin’ Thing, Natural Man, What Are You Doin’ Right Now, I’m Doin’ Alright, Married to Nothin’ and When I Get to Heaven. Every song on this CD became my favorite. I believe everyone who likes country music will feel the same way. This is an album full of good country music. You get everything from ‘upbeat tempo’ and memorable lyrics, to great instrumentation and really good story-telling. You get ballads, love songs, and the ones that will make you want to get up and dance. 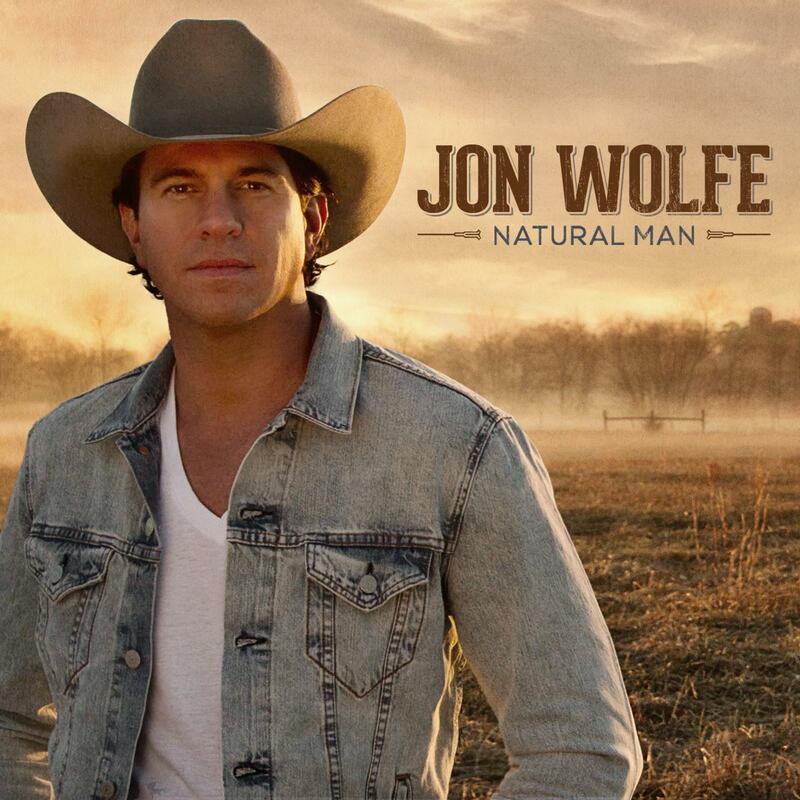 Jon Wolfe pulls all that together with his strong vocals, and very likeable country style. Like any album that makes me lean back in my chair and say, “this is country music,” I have nothing but great things to say about this album. The last song, “When I Get to Heaven,” is outstanding! With lyrics like ‘when I get to heaven, will I ever hear a country song again’…there’s a beautiful story in this one. It’s about how much he loves the sound of a steel guitar, and fiddles – and it talks about all the awesome things that we’ll find in heaven – and his hope that there will also be the country music he love. For those of you who really enjoy social media, you can follow Jon on Twitter @jonwolfe. In addition to reading Country’s Chatter (www.countryschatter.com), we hope you are following us on Twitter, too. You will find us @countryschatter.